Late on Sunday, August 12th, WAVES coins were priced at $1.89 after climbing from a fifteen month low of $1.64 on August 8th. Over the course of the early hours, the coin underwent a 21% surge which carried it to a valuation of $2.30 – a price not seen for almost two weeks. Volumes peaked just as the sell off from the $2.30 level finished up, with $22 million WAVES trades passing through the exchanges today. 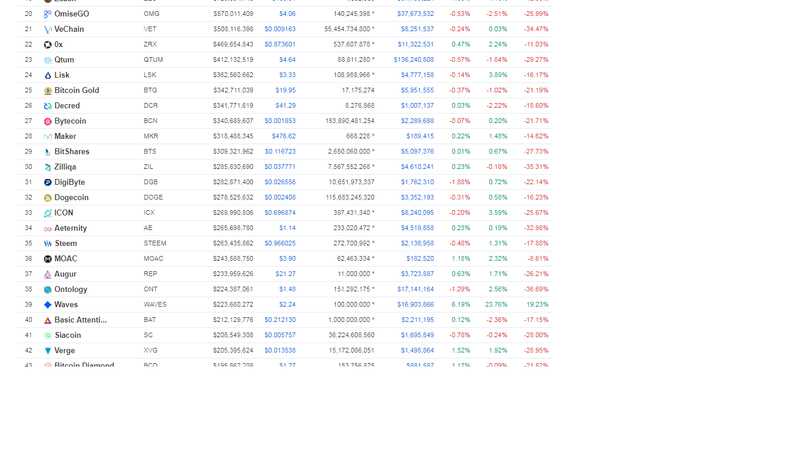 That’s almost a monthly high for the coin, with $23 million only coming once in the last thirty days, on July 18th. RSI indicators are over 50 points on a daily WAVES/USD and WAVES/BTC charts. The moving averages are touching the buy zone for 4h chart, we can maybe experiment a bull run for WAVES on the next week if it breaks and confirm the daily chart cross. 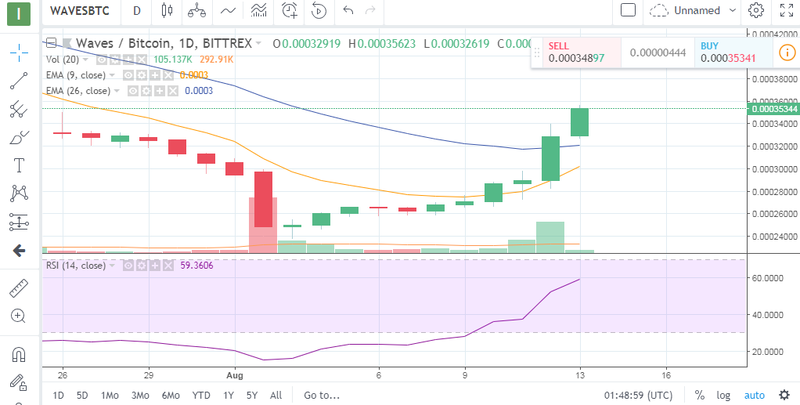 Waves has risen from position 49 to position 38 in a couple of hours and we expect improvements for this week. 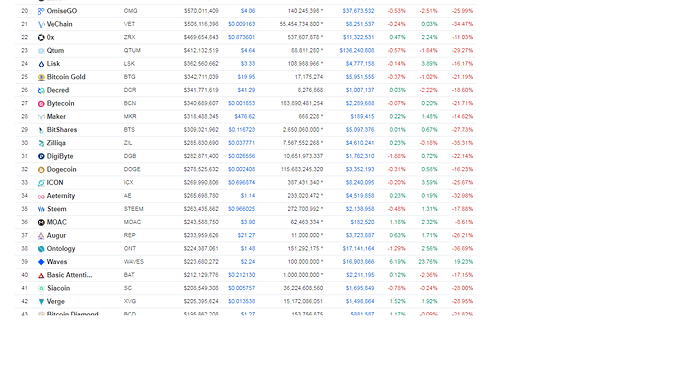 Besides that it is the only crypto that is in green positions for 7d trend. Waves recently revamped their DEX – decentralized exchange – and the platform saw an increase in the number of users shortly afterwards. Today the Waves Decentralized Exchange is only the tenth most popular source of WAVES trades, with $314,000 worth emanating from there – around 1.85% of the daily total. 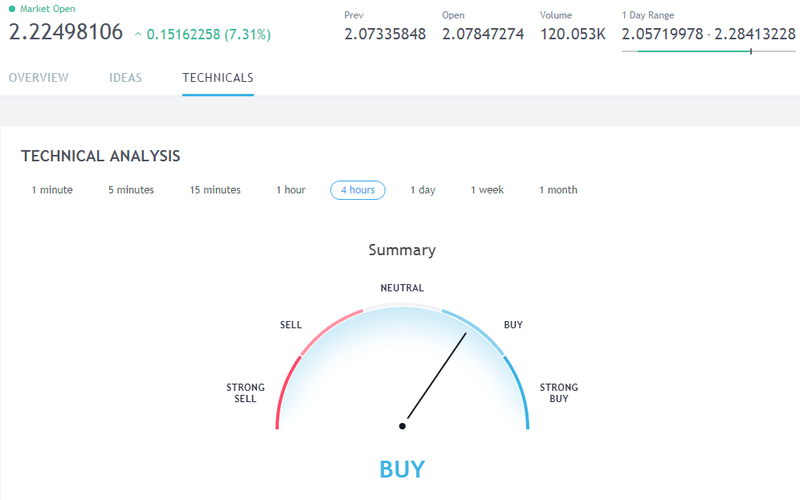 Technical analysis for the 4h moving averages, also shows an uptrending signal. NOTE: Never invest (trade with) money you can’t afford to comfortably lose. Always do your own research and due diligence before placing a trade.